We moved - one last time! 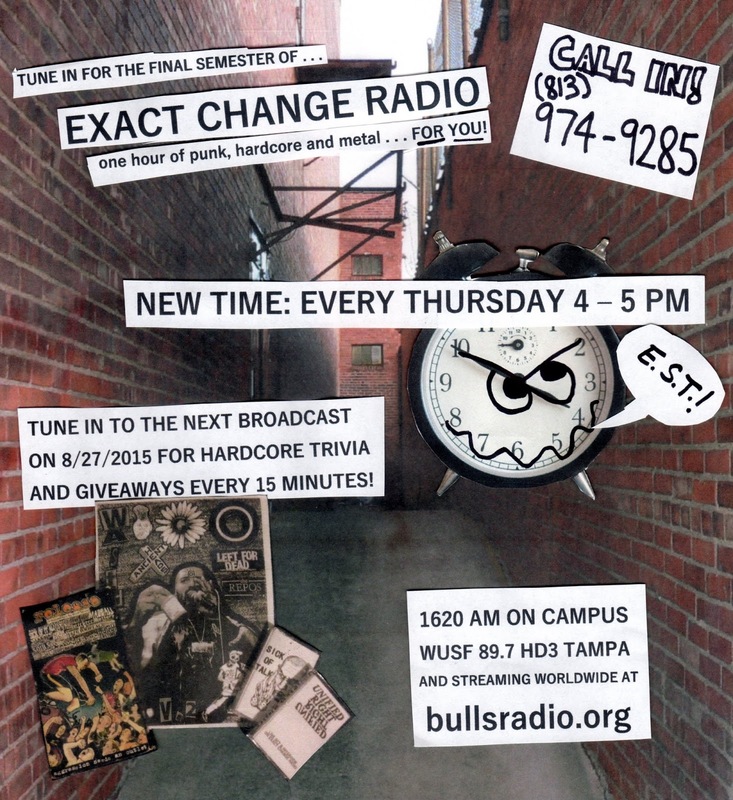 Exact Change Radio will now be every Thursday from 4 to 5 PM EST on bullsradio.org. Be sure to listen in tomorrow, 8/27/2015, as we are doing a HUGE trivia and giveaway. Every 15 minutes we'll present a trivia question and an opportunity to win one of five prizes. If no one calls or no one gets the answer correct - the prizes will roll over into the next round! So you have the potential to win FOUR prizes by listening and calling in. 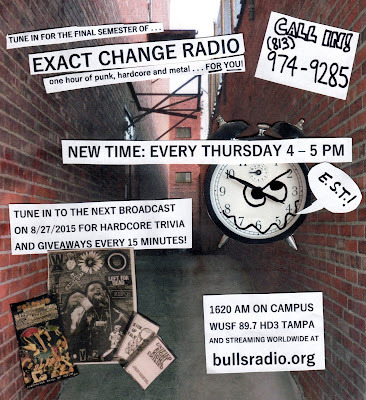 The number for the studio is (813) 974 - 9285. 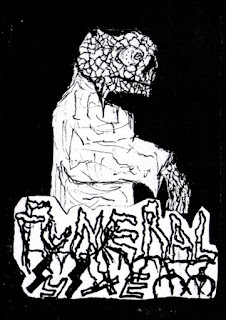 Funeral System is a howling metal punk band from Plant City, FL. The duo came together and debuted with this four track demo early in 2015. The members are credited on the included insert as "Drums: Black Blade" and "Guitar/Vocals: Anointer". This may ring a bell if you are from Florida, as there have been a few limited solo releases under the name Anointer. You can hear one track here. Besides Anointer, members of Funeral System also play in Shadow Laughter, State Intoxication and a few other local acts with unreleased material. The tracks on this demo average at about a little over a minute in length each. All four have lyrics pertaining to war, death and corruption of power. If you want to give it a listen before you give it a download, the full demo is available on YouTube here. 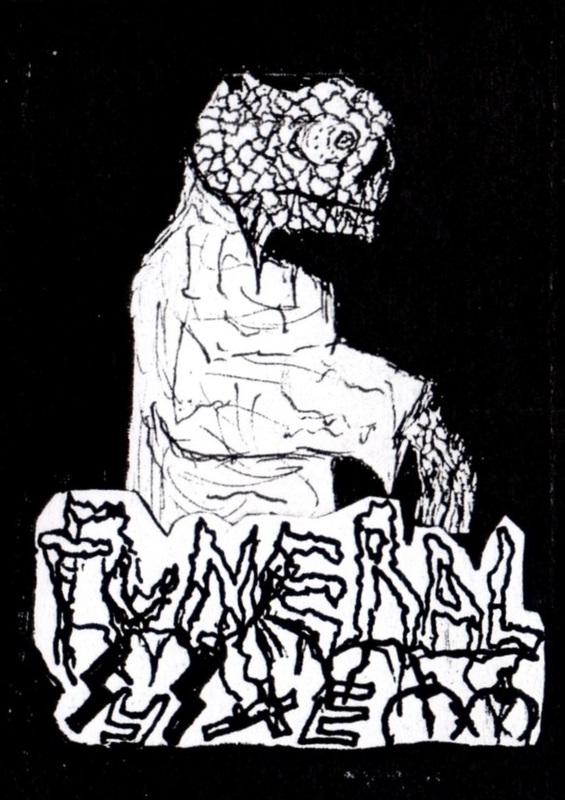 Funeral System has only played a couple of shows; one of them can be viewed here in full. Funeral System combines the raw drive of Japanese bands like Disclose and Confuse with the evil scowl of Abigail, while still melding well with Florida contemporaries such as Radiation or Allergy.